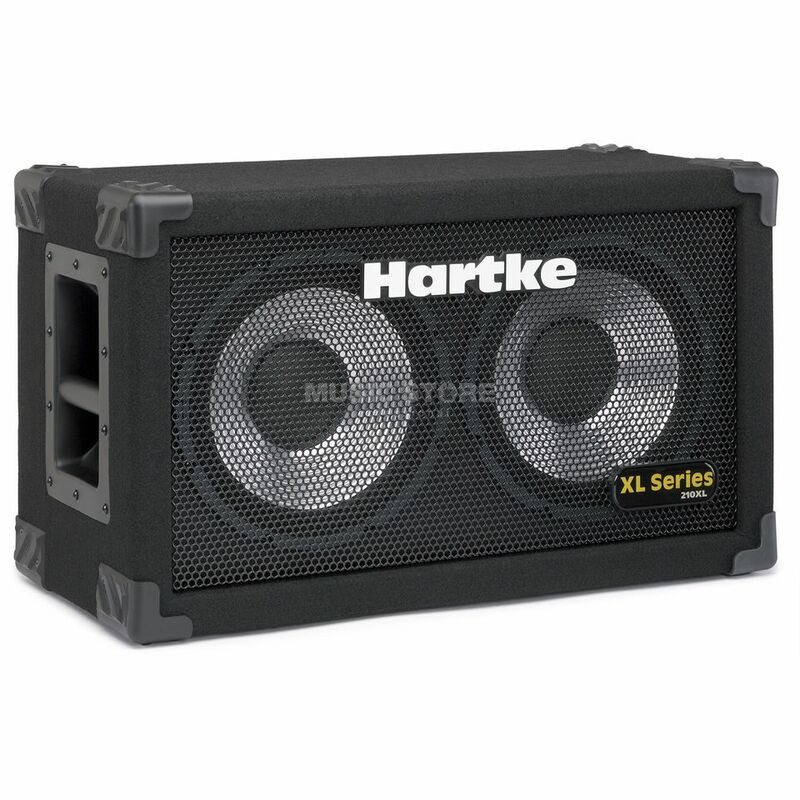 The Hartke 210XL is a bass guitar extension speaker cabinet with two 10-inch aluminium speakers featuring punchy, tight aluminium cone drivers, delivering a versatile tone. The Hartke 210XL bass cabinet offers expanded Hartke sound for smaller venues. A single chamber, sealed cabinet with two 10 inch aluminum-cone bass drivers. Power handling is 200 watts at 8 ohms with a frequency response of 50 Hz to 5 kHz. Professionals choose the XL Series because of its carefully calibrated and tuned cabinet design and high quality aluminum-cone drivers. XLs produce a smooth response along with the clear, punchy attack that changed the sound of bass. Each cabinet is built tough with a shockproof metal grill, reinforced corners, recessed carry handles and a rugged covering.